118 mins. Rated R for language including sexual references, some violent images and brief drug use. Life Itself is poised to capture that couples date night money this weekend, but is it any good? 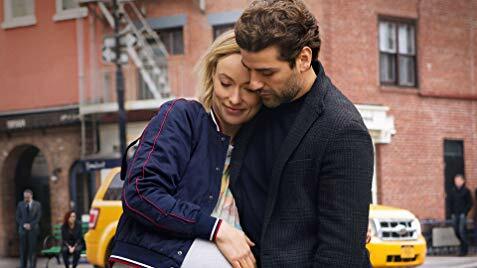 The film follows a couple, Will (Oscar Isaac, Ex Machina, Annihilation) and Abby (Olivia Wilde, Tron: Legacy, TV’s Vinyl) from college to marriage and onward as the twisting, winding road of their story echoes throughout future generations. 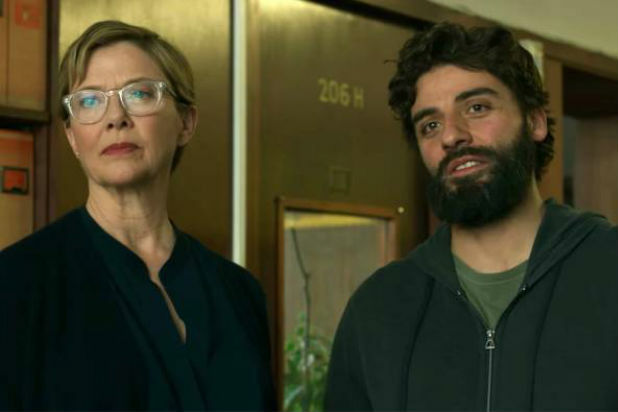 After their marriage ends, Will is forced by to tread through his past by Dr. Cait Morris (Annette Bening, American Beauty, Film Stars Don’t Die in Liverpool) in order to put his life back on track. But is he remembering things right? Is he a reliable narrator? Is anyone? Life Itself attempts to answer these questions as several different people from vast walks of life intertwine. Life Itself is poorly-conceived schmaltz and depression disguised to look like a romantic drama. Director Dan Fogelman (Danny Collins) attempts to pull at heartstrings with some of the most awkwardly crafted sequences trying their best to swim in a sinking plot. I could tell Oscar Isaac was really trying, but some of the dialogue he is forced to utter is so cringe-worthy that I almost can’t believe he was able to get it out. The scenes in which he and Dr. Morris are looking back at his relationship with Abby feel like a soap opera mixed with an afterschool special in some sort of attempt at being A Christmas Carol. They stand there and awkwardly toss words at each other while the more important stuff, the actual flashback lies before them. Life Itself’s plot construction also left a lot to be desired. This film felt like it was laid out with a connect-the-dots in which someone already completed for me. I was sitting in my seat, actively betting myself on how certain sequences would play out and, more often than not, I was right. I think what’s most shocking is how Life Itself both does and does not take its emotional core seriously. The film jokes about death and pain in some of the strangest ways while actually asking you to feel sad at the right times. It’s tone stays consistent for large stretches and then drastically veers into uncharted territory. Don’t get me wrong, there’s some value in the film. I actually found many of the performances to be fine, particularly from Isaac as Will, Bening as Morris, Mandy Patinkin (Smurfs: The Lost Village, TV’s Homeland) as Will’s father Irwin, and Antonio Banderas (The Mask of Zorro, TV’s Genius) as Mr. Saccione, an owner of a olive farm featured in the latter part of the movie. Banderas delivers a monologue excellently when he is first featured. 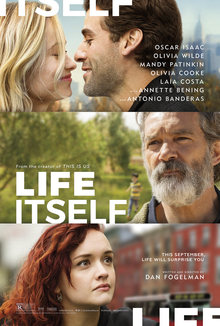 Life Itself is a bigger-budgeted version of a high schooler’s experimental short film. It’s really trying to be something here, but it waxes philosophy in such a hammy fashion that it devolves into little more than drivel by the end of its lengthy runtime. I actually really wanted to like this movie, but alas, this is one that is definitely not worth your time. 104 mins. Rated PG for thematic elements including sorcery, some action, scary images, rude humor, and language. I never would’ve expected Eli Roth (Cabin Fever, Death Wish) to direct a family film. I did expect him to cameo in it. 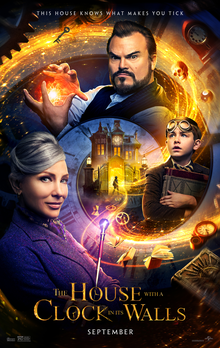 The House with a Clock in its Walls is based on the 1970s book of the same name, and it is set in 1955 after Lewis Barnavelt (Owen Vaccaro, Daddy’s Home, Fun Mom Dinner) is sent to live with his estranged uncle Jonathan (Jack Black, School of Rock, Jumanji: Welcome to the Jungle) at his home in New Zebedee, Michigan. Uncle Jonathan’s home is considered to be one of the strangest in town, and Lewis quickly learns his uncle is a warlock, and his neighbor, Florence Zimmerman (Cate Blanchett, Carol, How to Train Your Dragon 2) is a witch, and a year earlier, a very tortured warlock named Isaac Izard (Kyle MacLachlan, Inside Out, TV’s Twin Peaks) died in the house. 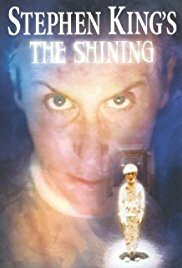 As Lewis begins training to become a warlock like his uncle, he struggles with the task of not revealing his new powers to a popular boy in school named Tarby (Sunny Suljic, The Killing of a Sacred Deer, Don’t Worry, He Won’t Get Far on Foot), and Lewis makes a grave mistake that risks the lives of not just his newfound family, but all life on Earth. Let me tell you about the things I didn’t like in The House with a Clock in its Walls because overall, I rather enjoyed myself. I think Owen Vaccaro really struggles to play the leading role here, and most of the best scenes in the film are based around Black, Blanchett, and MacLachlan. His performance tends to fall back on back theatrics and disappointing crying and screaming. I understand that may be how he is portrayed in the book, but it just doesn’t work here. The pacing is a little chunky as well, particularly in the middle of the film. There’s a lot going on, but most of the scenes at Lewis’s new school simply bog down the film and should’ve been drastically trimmed to keep the pace going. All that being said, I had a grin on my face for a large portion of the movie. 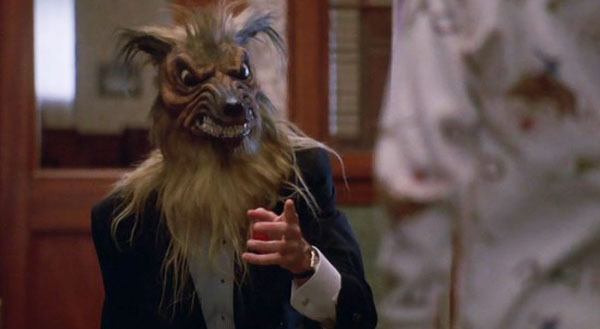 I was reminded of children’s horror from the 1990s like the Goosebumps TV show and films like Hocus Pocus, Casper, and The Witches. The movie was actually rather creepy and discussed some gruesome things, and I saw kids in the theater with me covering their eyes and keeping two fingers split so as to keep watching. Some kids really love being scared, and I’m glad that Hollywood is recognizing that again. Eli Roth does a fine job of mixing the horror with the fun, aided by a nice screenplay from Eric Kripke (Boogeyman, TV’s Supernatural). Most of the scenes outside of the school actually left me wanting more mythology. Lewis keeps bringing up a character from television called Captain Midnight and I feel like we only barely scratched the surface. I wanted more Captain Midnight, I wanted more creatures and spells in the house, I wanted more backstory from Izard. I just wanted more. Learning that the book is part of a series makes me really want to see this become a franchise. 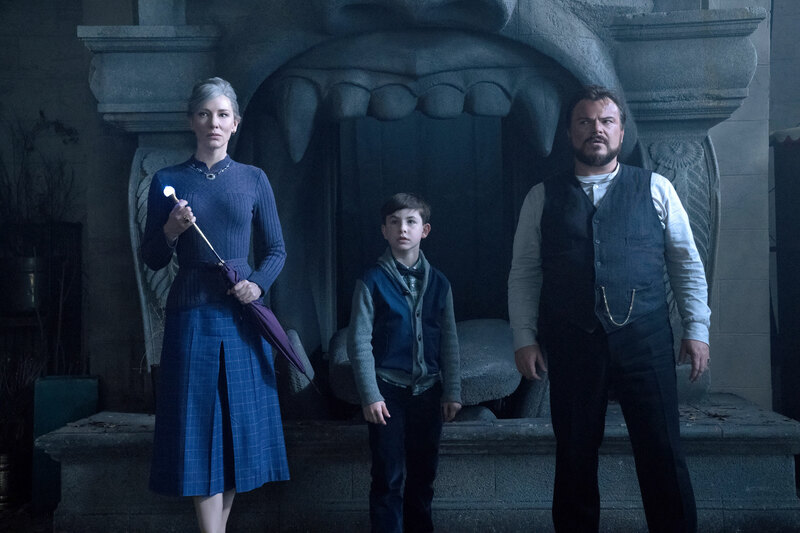 The House with a Clock in its Walls stumbles a bit here and there, but I still had fun watching it. It’s the kind of film that you can bring your kids to and still have fun. It feels like it could be the Hocus Pocus of this generation, staying with youths as they grow up and show their kids, and I hope you give it a try. I mean, they are releasing it with Thriller in 3D (something I did not get to see last night), so go for that at the very least. For my review of Eli Roth’s Cabin Fever, click here. Eddie Murphy to Appear in Grumpy Old Men-Inspired Film Directed by Tim Story? Deadline is reporting that Eddie Murphy is set to star in a new film based on the Walter Matthau-Jack Lemmon film Grumpy Old Men, to be directed by Tim Story and produced by John Davis. 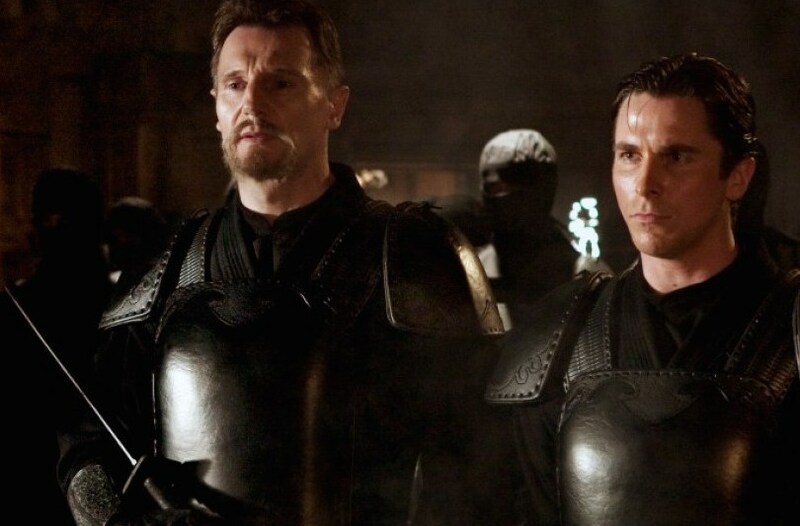 The film remains untitled, and no one has been attached to play opposite Murphy at this point. Director Story recently wrapped Shaft and has also helmed the Ride Along films. The original film featured Matthau and Lemmon as two elderly rivals who find themselves further torn apart when an attractive new neighbor moves in on their block. 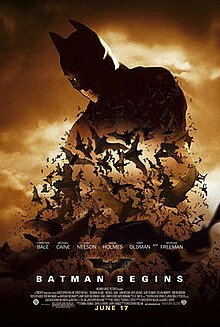 My only question is whether this film will have any connection to the originals. If not, then I’m fine. I happen to love the original two films and watch them yearly around Christmas. Being a Minnesota native, they hold a special place in my heart. In all fairness, though, I just don’t want this to be connected to a film I love so dearly because it sounds like a dud from the start. 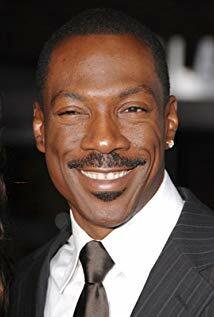 Eddie Murphy hasn’t had a great track record in a long time and, outside of his work with Shrek and Dreamgirls, he has been a part of mostly garbage. 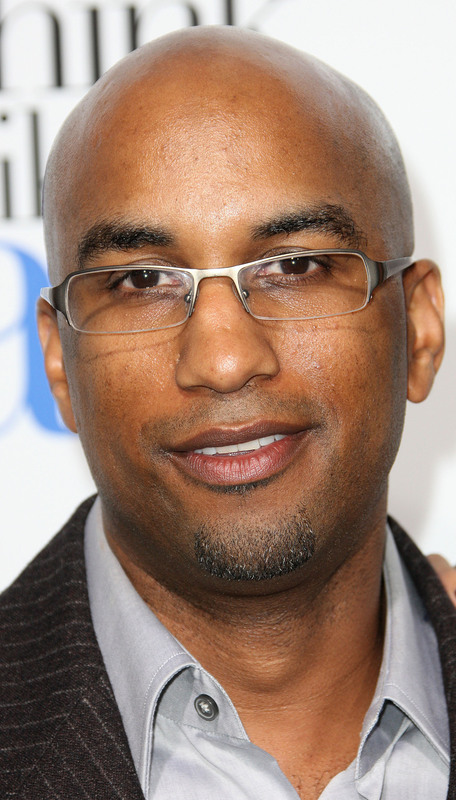 As far as Tim Story goes, I’ve never been interested or impressed by him. His work on Fantastic 4 continues to age poorly and his comedies have not interested me. Maybe it just depends on who rounds out this cast. If they make some truly inspired casting choices for the other grumpy old man and the neighbor, I may change my mind. There’s also the question of how close this film will be to Grumpy Old Men. Will Eddie Murphy’s character have an even older senile father? A lot of questions to be answered, but right now, I couldn’t care less about this project…for now. But what do you think? Are you excited at the prospect of Eddie Murphy in a Grumpy Old Men-like film? Who should play opposite of him. Let me know with a comment below, and don’t forget to like, comment, and subscribe! The First Trailer for Captain Marvel is Here! Marvel Studios officially dropped their first trailer for the upcoming Captain Marvel, the next film in the MCU. Captain Marvel aka Carol Danvers has only been hinted at in the franchise thus far in the post-credits scene at the end of this year’s Infinity War, so it will be really interesting to finally unleash this very powerful character into this universe. The trailer is really more of a teaser than an official trailer in that it doesn’t really reveal a ton of information. We get a real nice feel of the 90s tone in the film as Danvers crash lands in a Blockbuster in the middle of the night. There’s some solid dialogue from the de-aged Samuel L. Jackson reprising his role as Nick Fury. Later in the trailer we get some more de-aging with Clark Gregg coming back as Phil Coulson. Fury says he planned to hang it all up before she came along, an indicator on the impact Danvers has already had on the MCU, an interesting wrinkle. Outside of that, there isn’t much of a story to glean from this. There’s some nice action flashes and see a bit of Jude Law (who is about to have a great couple of months) but that’s mostly it. I found myself rather enjoying the trailer and am excited to see the film. The trailer didn’t make me more or less excited to see Captain Marvel next year because I’m already very excited to see it. So what did you think? Does this trailer make you more excited for Captain Marvel or did you feel not so super about it? Let me know with a comment below and don’t forget to like, comment, and share. 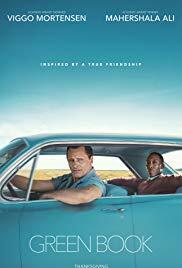 I didn’t know much about Green Book until I saw the trailer and found myself quite invested in it. The film recently screened at the Toronto Film Festival and was awarded the prize of People’s Choice Award. The award, which has been given to five future Best Picture winners at the Oscars, was given last year to Three Billboards Outside Ebbing, Missouri, a major Oscar contender which was nominated for Best Picture. A lot of reviews out of Toronto have been for the chemistry between its two leads, Viggo Mortensen and Mahershala Ali, and the way these two give standout performances that never take away from each other. As I said above, I’ve been more than a little excited for this film since seeing the trailer, and learning that Peter Farrelly of the Dumb and Dumber Farrelly brothers was behind the wheel made me more and more curious. Green Book winning the People’s Choice Award only furthers that excitement. This is such a drastic departure from what Farrelly is known for. 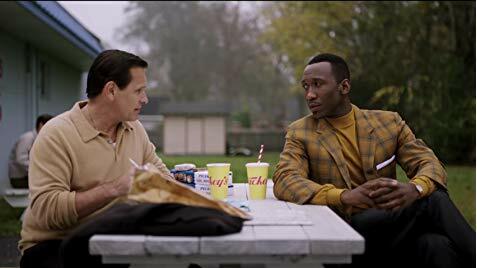 For me, Green Book was not in the discussion as far as major awards consideration this year. Without having seen the film, I’ve heard a lot of chatter for some acting nominations, but not much more, so having this film take an award so notable for Best Picture chatter is something that elevates it for me. Now, I may just hate the film, but all signs point to good news here. So there you have it. Green Book has just risen on my most-anticipated list. 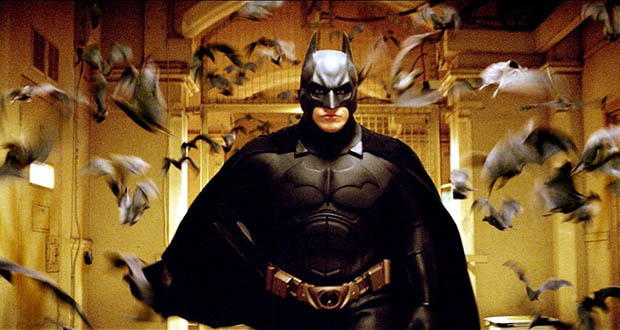 Does the news of its winning People’s Choice at the Toronto Film Festival do anything to your excitement of this film? Don’t forget to like, comment, and subscribe for more content. 96 mins. Rated R for terror, violence, and disturbing/bloody images. I’ve been a fan of The Conjuring universe since the first film, and outside of the original Annabelle film, I’ve found them to be very competently put together as individual films while also contributing nicely to a larger framework. Still, though, there’s been something rather concerning about The Nun and, looking to the future, The Crooked Man. What’s been bothering me about both films have been the narrative that’s been set up within The Conjuring 2. 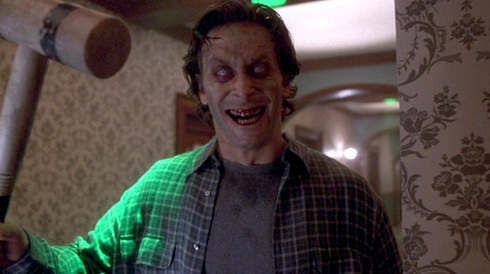 The Nun and The Crooked Man are both very connected to the Warrens and the specific case that they are working on within the film, The Crooked Man purposefully created as an apparition meant to frighten or horrify one particular child. I just couldn’t see how a film could be formed that respected the characters that have been built and forge a new interesting path. Last night, I saw The Nun at an early press screening, and while being a more competent film that expected, it still struggles to exist without hanging on previous films. The Nun follows Father Burke (Demian Bichir, The Hateful Eight, Alien: Covenant), a sort-of Catholic detective, who is sent by the Vatican to investigate a horrible suicide by a nun at an abbey in Romania. 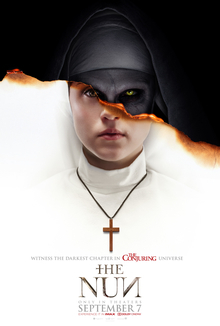 He is joined by Sister Irene (Taissa Farmiga, The Final Girls, TV’s American Horror Story), a novitiate who suffers from disturbing visions, as the two attempt to unravel the mystery of the suicide and determine what horrors lie within the walls of the abbey. 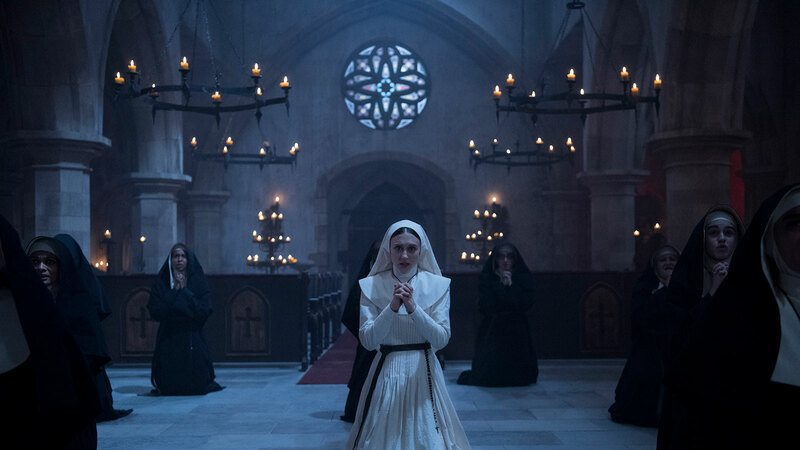 Comparatively speaking, The Nun is not the worst film in this universe, but it rest on the lower side of things for several small reasons that build to a less-than-incredible experience. The way the film starts made me feel like Warner Bros. put their hands in the post-production process as the opening has a minute-long prologue featuring a montage from The Conjuring 2 all about the Nun. It felt very unneeded and very forced as if the studio-head walked out in front of the audience at the beginning and shouted, “Remember the nun from The Conjuring 2? That’s what this movie is!” You don’t need that. 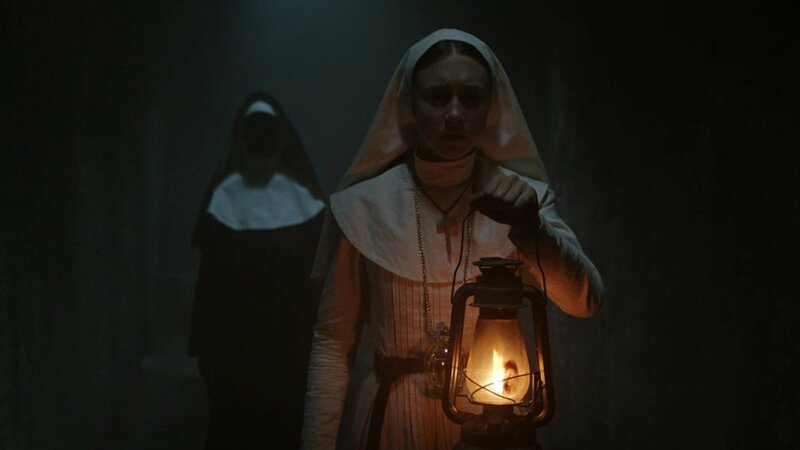 I think without the forced connectivity to the rest of the universe, The Nun works fine as a standalone film. I took a friend to Annabelle: Creation who had only seen the original The Conjuring. He didn’t take issue with the universe connections and enjoyed himself nonetheless. There’s some overworking of the universe connections later on that also could have been trimmed as more of an Easter egg to fans instead of a full-blown forced explanation as well. I also wasn’t a fan of secondary character Frenchie (Jonas Bloquet, Elle, Valerian and the City of a Thousand Planets), the man who helps guide Father Burke and Sister Irene to the Abbey, and the humor he brings to the film. Bloquet is not entirely to blame here. 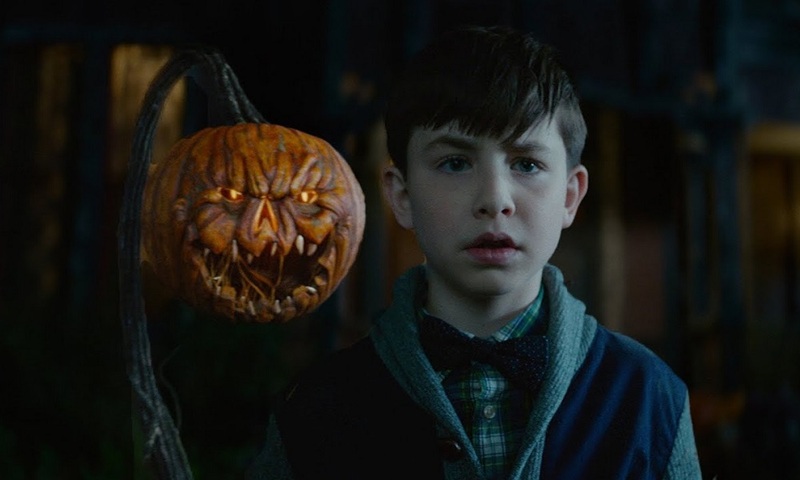 I just found that the combination of the dialogue in Gary Dauberman’s (It, Within) script with Bloquet’s portrayal and the direction by Corin Hardy (The Hallow) combined to make some unfunny pieces of humor that didn’t fit the tone of the narrative. Nothing altogether cringeworthy, but just out of place. Now, that’s not to say that I hated the film. Far from it. I found myself thoroughly interested in the mystery and the intrigue. I wanted more of it. I did jump quite a bit at some of the more well-planned out scares (though many of the scares are rather similar, someone getting stalked by a nun), and I mildly enjoyed the partnership between Bichir’s Burke and Farmiga’s Irene. It just wasn’t up to par with what I’ve come to expect. All in all, The Nun is a scary enough film with a flawed screenplay and a little glaringly obvious studio assistance. It’s a nice enough film that should satisfy the audience even if it falls short of its franchise expectations. Have you seen The Nun yet? What’s your favorite film in The Conjuring universe? Let me know/Drop a comment below!